It’s your big day! Congratulations on getting engaged, and welcome to a load of (fun) work. One of your most important jobs will be to create a lovely and inviting setting for you and your guests. 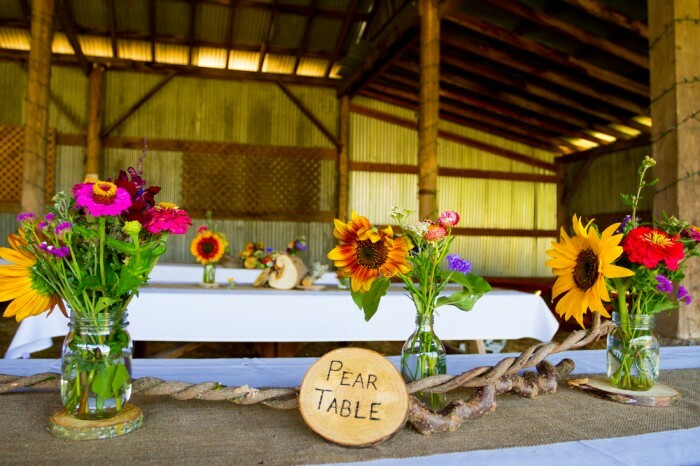 You’ll need to have a keen eye for style and design, but these wedding decoration ideas will certainly help! Nature never goes out of style. Do you want a beautiful wedding? Have lots of greenery and flowers, and get creative with it. You don’t have to let a florist design everything either. Plant wildflowers in your lawn months before the wedding, and cut them on the day of the wedding. 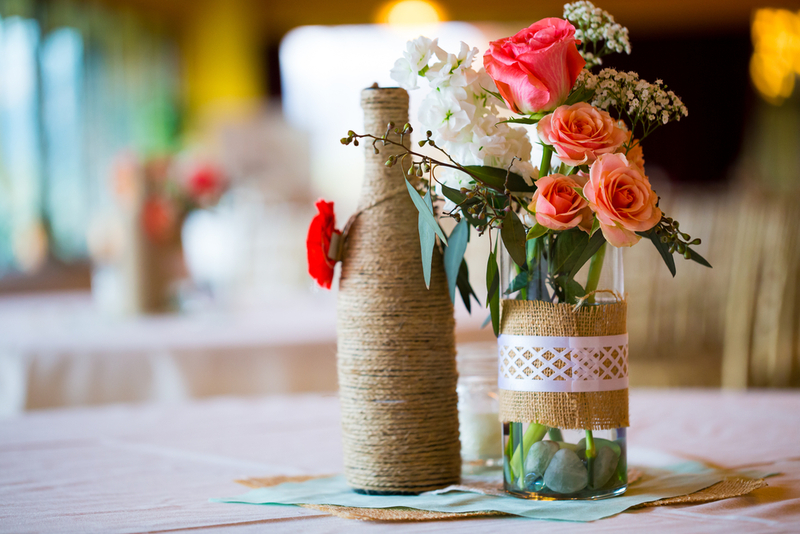 Place them in vases all around the venue, or tie them into garland for bigger decorations. Really, any foliage you can find can turn into gorgeous decorations that don’t cost a penny! Any photographer or filmmaker will tell you that lighting is everything. If you’re having an outdoor wedding and reception during the day, great. The sun is your light! But if you will be inside or in the dark at any time, you should make sure to put the focus on how to set up your lighting. Don’t settle for the lights at the venue. Instead, turn to what’s in style: twinkle lights. In other words, decorate with those small white or blue lights that you put on your Christmas tree. Go to a dollar store, and buy tens of boxes for a cheap price. 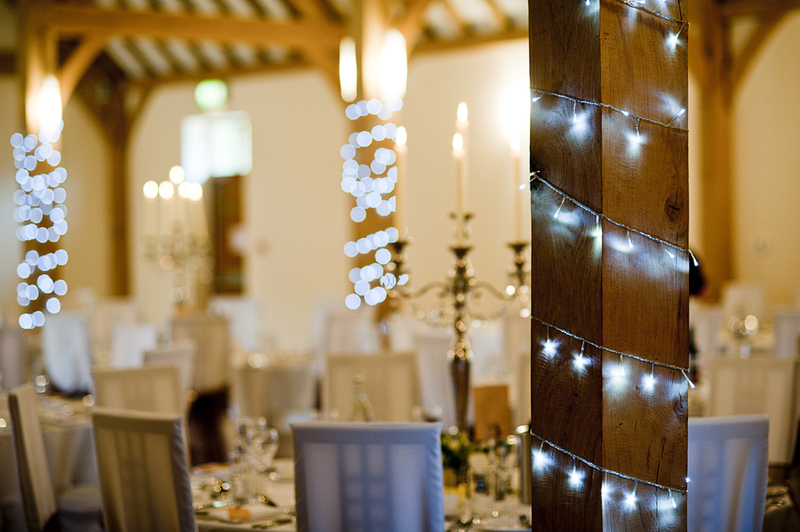 Now string them around the edges of your venue, and see the beautiful effect they have on your setting. Especially when you’re on a budget, it’s smart to reuse and recycle. One great way to do this is to start saving things that you usually throw away. You’ll need a lot of whatever you have if you have a lot of guests. That means vases, seating cards, dried flowers, ribbons and more. Start by saving all of the glass jars from your burnt out candles, small ribbons that you cut off of new garments. Press all of your flowers when they start to go bad. If you need more of anything, don’t buy new things. Instead, hit up vintage and used item stores.